Join us September 30th at Union Kitchen and Tap in celebrating Oktoberfest! 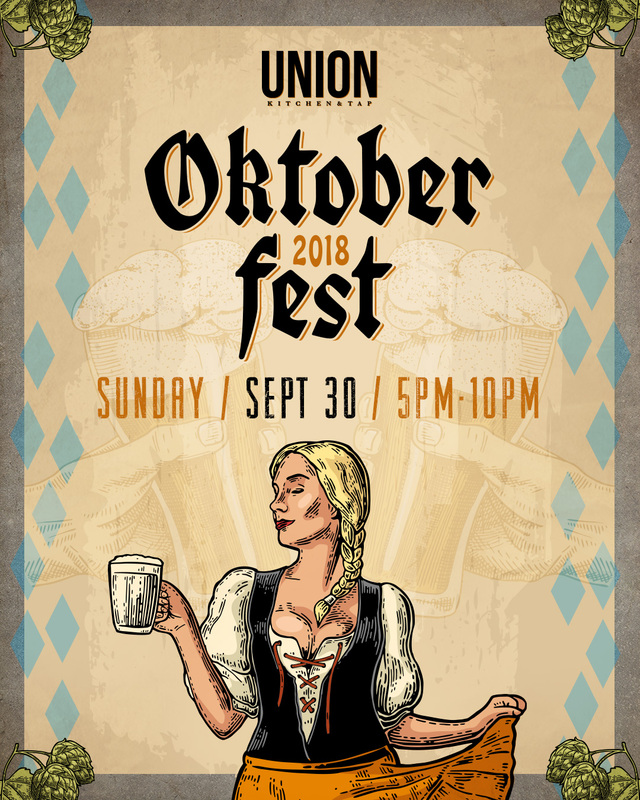 Enjoy a special Oktoberfest menu including Bavarian Pretzels, Jaegar Schnitzel, Wurst, Studel, and more. All the delicious german food pairs perfectly with a discounted pint of Ballast Point Dead Ringer Marzen!